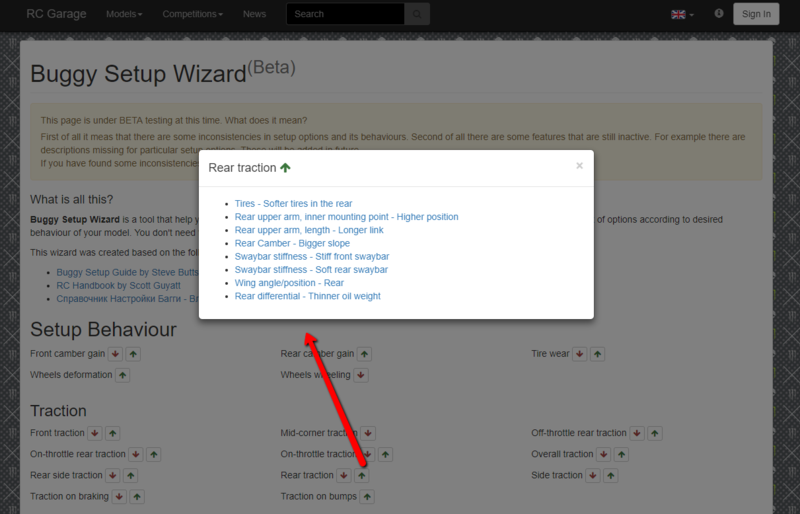 We have recently deployed a brand new feature of RCGarage called Buggy Setup Wizard. This feature is designed to help drivers to make a proper setup changes or even setups themselves. There is a Buggy setup options set are currenly available as for now.